Fermented foods have a rich history of tradition and methods of fermentation have been passed down through generations. It’s safe to say that fermentation may have saved the human race during times of drastic climatic changes such as droughts and floods. Every culture has its own history of fermentation and within these various cultures, traditional tastes and methods began to emerge, so we have the Greeks who perfected the fermentation of yogurt and different breads made with cultures such as sourdough. We know that Egyptians produced sourdough cultures for making bread as early as 4000 B.C.E. and also fermented wine and cheeses. It may have been completely by accident that some fermentation methods were discovered, but these methods have certainly made an impact on the history of food preservation. As early as 2,000 years ago, the Chinese were building the Great Wall of China and began to ferment cabbage as a way to feed the workers. During an invasion of Genghis Khan in Eastern Europe, he introduced the cabbage and it became a staple among peasants and sailors who took huge kegs on long voyages for its abundance of Vitamin C.
Eventually, the fermented cabbage came to the Americas, where it was known as ‘sauerkraut’ from the German words, sauer (sour) and kraut (vegetable). Although sauerkraut wasn’t originated by the Germans, it is now considered a German dish. Dairy is an example of a successful attempt to preserve milk. In the early days, wandering nomads carried milk in special animal stomach canteens. Since animal stomachs have the enzyme, rennin, which coagulates (curdles) milk, the nomad would have curdled milk or cheese to eat. History tells us that Sumarians and Egyptians had cheese as early as 4,000 B.C. and the bible mentions that David, future king of Israel, ate cheese and presented it as a gift to the army of Israel. Salt began to be used for preserving meats in the form of sausages and later, microorganisms helped to ferment meat and preserve them for later use. Fermenting meats was very important before freezing and refrigeration brought a way to keep meats without the fermenting process. 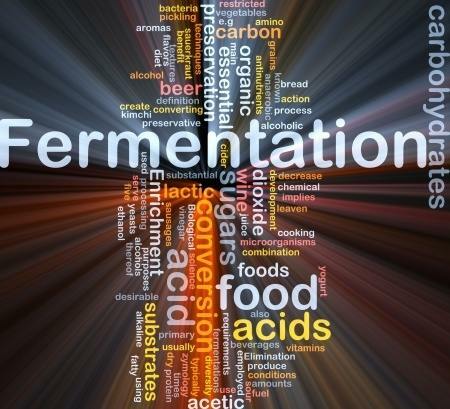 The history of fermentation the world over is an interesting journey. Every culture has its own fabulous recipes and methods for creating amazing dishes. Explore some of the recipes from around the world and see how fermentation has progressed to the present day. What’s the Salt Ratio for making Sauerkraut? This entry was posted in Reviews - Kitchen Utensils - Cooking - Food and tagged Cheese, Eastern Europe, Egyptians, Fermentation, fermentation methods, fermented foods, Food, Genghis Khan, German, Great Wall of China. Bookmark the permalink.